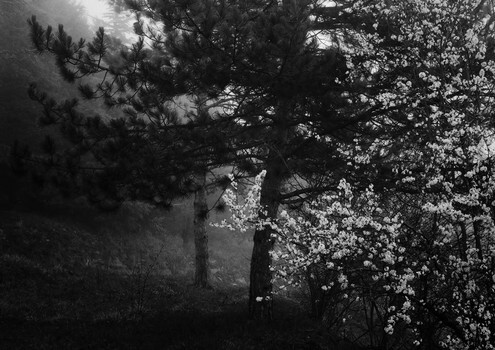 White Blossom in Mist. Umbria, Italy. 2007.